Thank you to our sponsors for helping to produce this dynamic Magenta POP exhibition and for supporting to our artists. 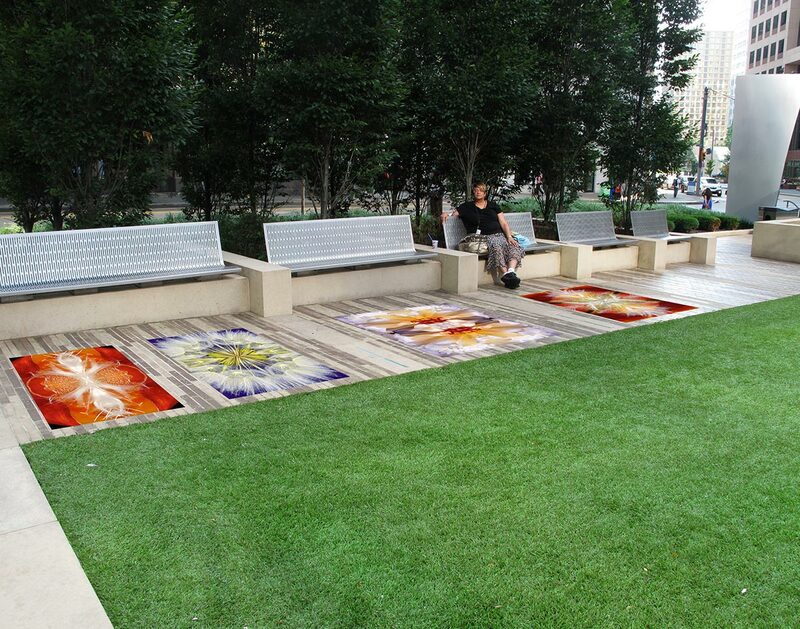 We’d also like to thank City of Pittsburgh, for supporting the overall initiative to beautify the urban landscape. One of my yearly garden/art rituals is to plant Elephant Ear bulbs in the spring and harvest the leaves in the fall for photographic work. For me, working in the yard and making art are parallel practices. I approach both endeavors in a similar fashion, initially starting with a plan and then, as the project advances, collaborating with my materials. Every year, the Elephant Ear work evolves. 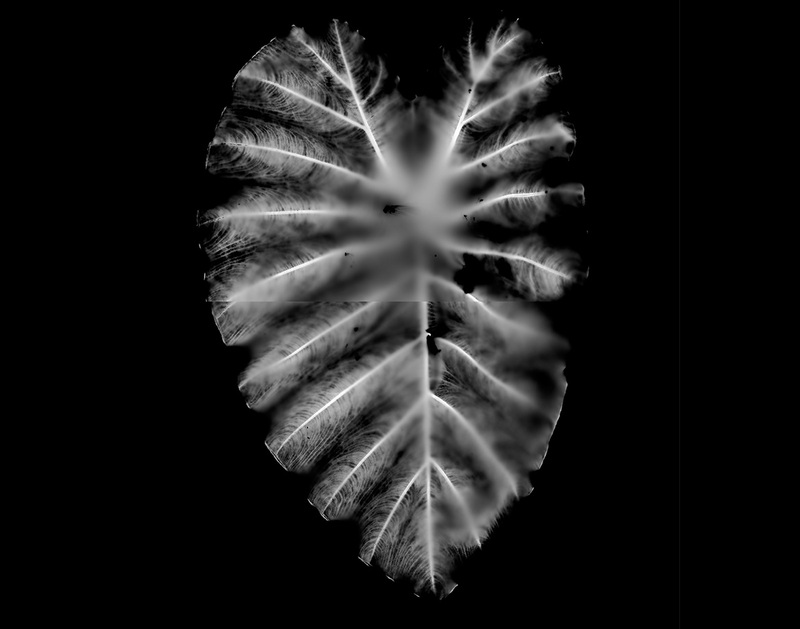 The earliest images are black and white photograms. Later work includes scanned leaves, bulbs, roots and dirt. This project also works on another level, as a form of emotional relocation. One of the final stages of the grief process, emotional relocation occurs when the survivor develops an ongoing relationship with memories associated with the deceased. Working on the home and in the garden were a significant part of my relationship with my husband who died suddenly in 2006. Thus, the Elephant Ear project, by integrating aspects of our shared life, allows me to move forward, while staying connected to my past. 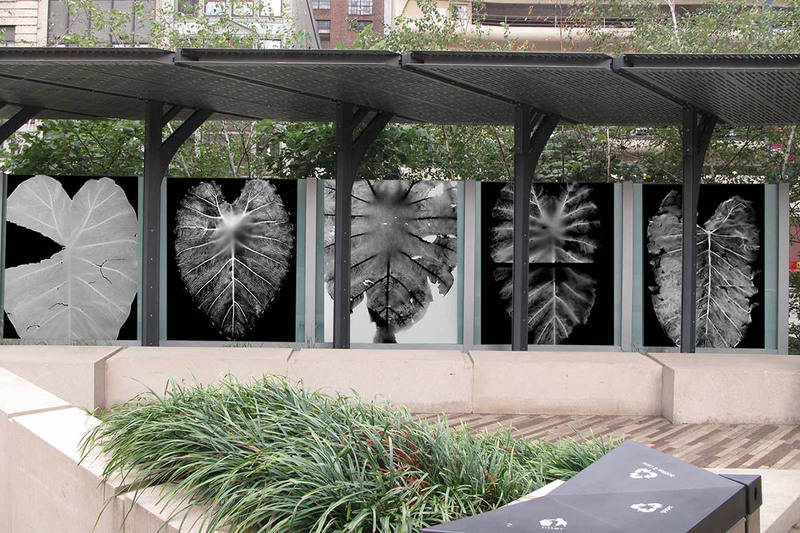 For more than 20 years, Sue Abramson has experimented with alternative photographic methods in connection with the garden. Widely exhibited, her work has been acquired for many permanent collections, including The Carnegie Museum of Art, The Polaroid Corporation, University of Pittsburgh, Biblioteque Nationale and Blue Cross of Western Pennsylvania. 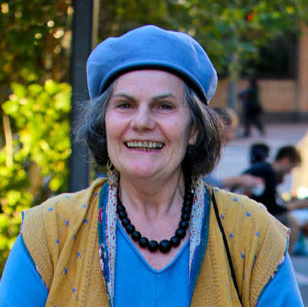 Her exhibited work has been nationally and internationally shown. Featured exhibitions include “Gestures 15” at the Mattress Factory, “Digital to Daguerreotype” at The Carnegie Museum of Art, “No Mirrors” at Rayko Photo Center and “Connecting Pittsburgh” at Gallerie Nahore, Ceske Budejovice, Czech Republic. She has received awards and commissions from Silver Eye Center for Photography, the Pennsylvania Turnpike Commission and Pittsburgh Society of Artists. Abramson simultaneously explores the process of grieving in her work, and has lectured on art and grief at the F295 2012 symposium and the Good Grief Center of Pittsburgh. 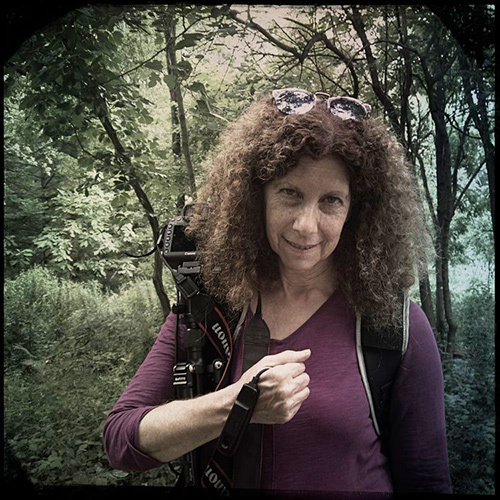 She is Associate professor of photography at Pittsburgh Filmmakers. I am drawn to nature photography for its capacity to slow the senses as well as to fill them, to attend to what is present without distraction, to promote healing and to reveal the constant change in everything. 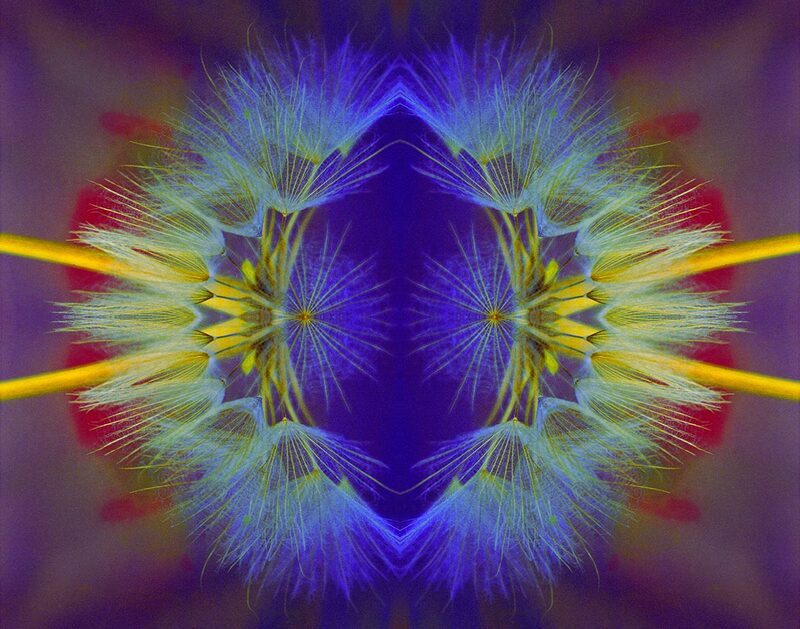 Each image exhibited here is comprised of one dandelion; no other element is incorporated. 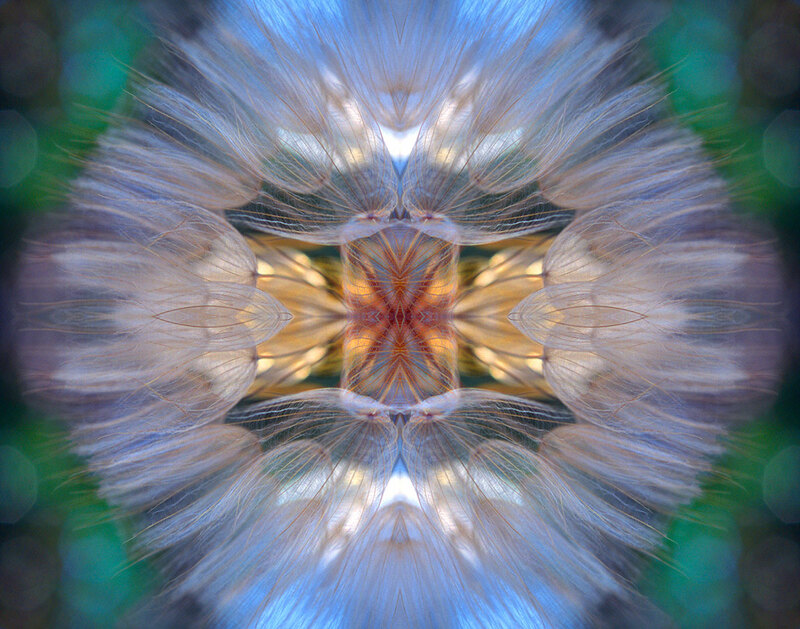 There was no predetermined design, no idea to conform to, simply a spontaneous playful curiosity applying Photoshop software to scanned negatives, which subsequently morphed into images resembling mandalas. 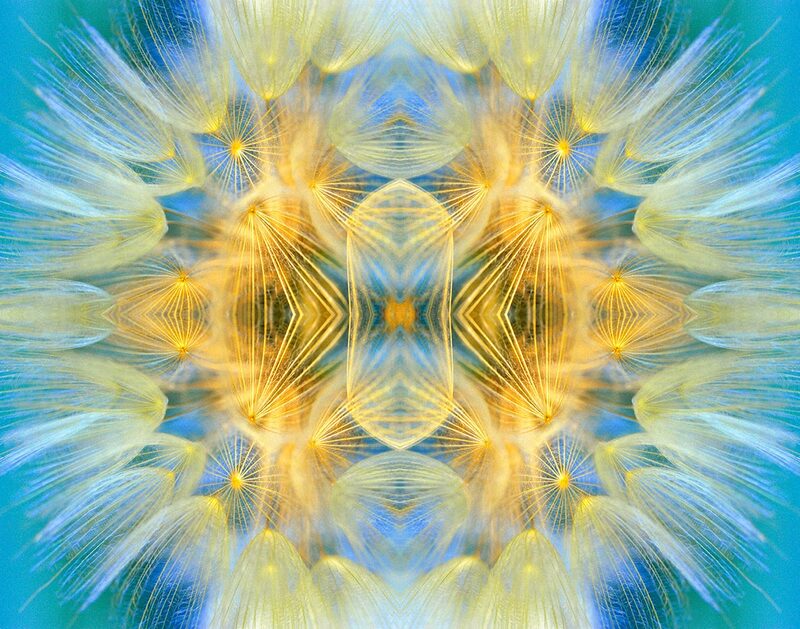 Everywhere in nature, one can find organic mandalas and fractal geometry—from the structure of coral to a fern leaf or a sunflower, and from the majesty of a crystallized snowflake to the lowly weed we call a dandelion. 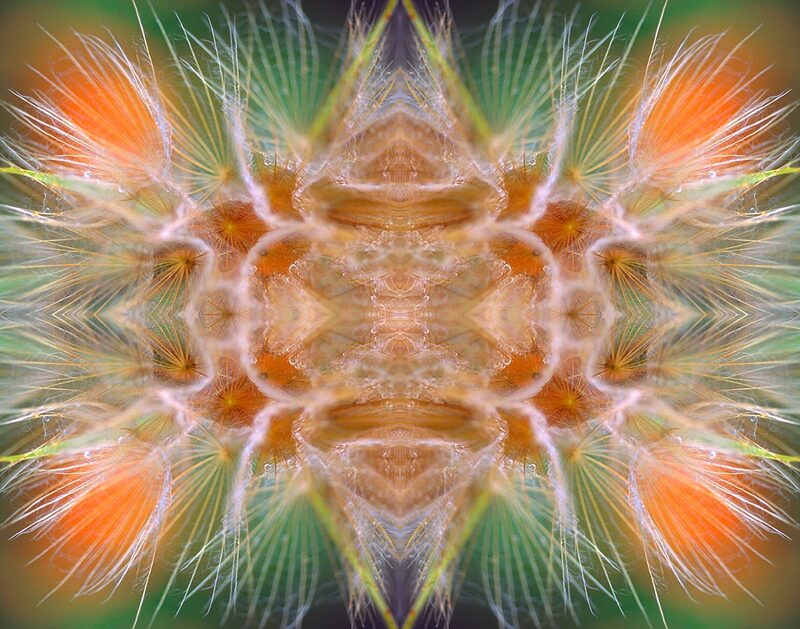 O’Dea’s work is primarily concerned with the healing power of art. 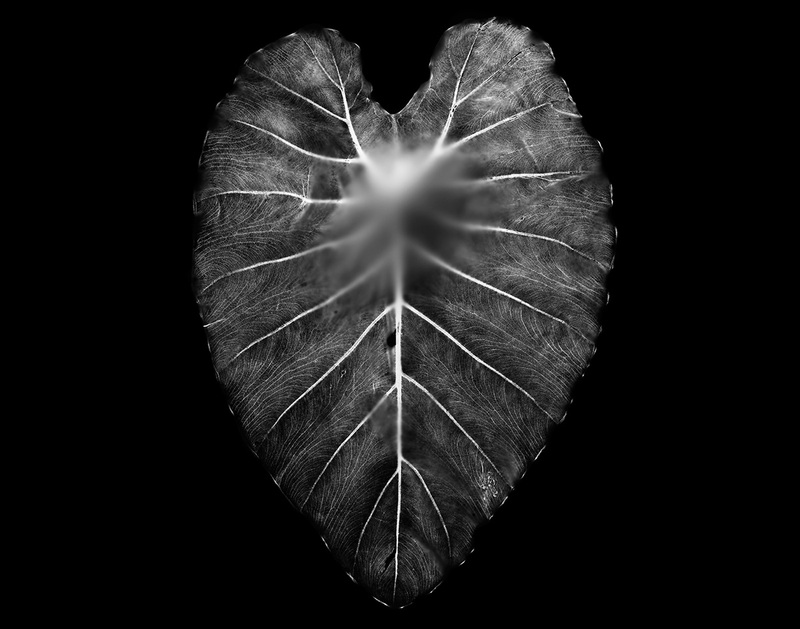 Her lens is focused on exposing the beauty of the “simple” in her nature portfolio, and the beauty of truth in her documentary work. She is drawn to nature photography for its capacity to slow the senses as well as to fill them, to attend to what is present without distraction, to promote healing, and to reveal the constant change in everything. Prior to becoming a photographer O’Dea worked in public health projects in the Peruvian Amazon, Kenya, Cambodia, and Sudan … and having witnessed the brutality of war she is compelled to document peacemaking in Pittsburgh. Her work has been exhibited locally and nationally.